Wearing Something more than one way. I found this sweater on Nordstrom. It could make for a great casual look with jeans or look dressy with a short flare skirt or dress pants. What makes this such a great feminine differential is that a single fashion piece can be worn more than one way. 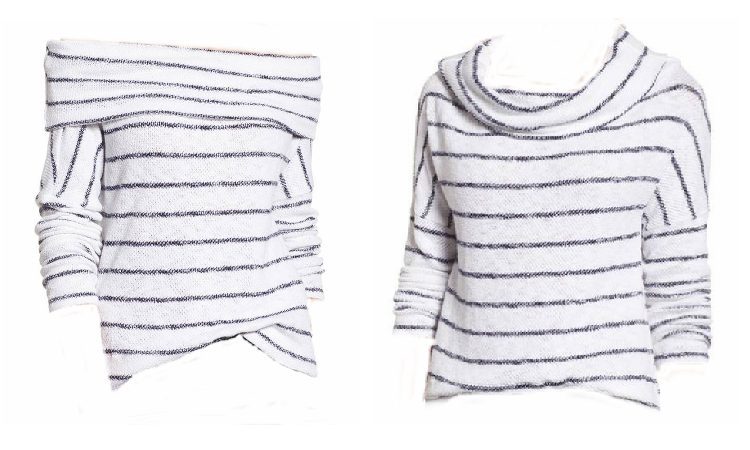 A warm winter sweater with a matching infinity scarf look or a spring flirty off-the-shoulder look. Shop looking for pieces that serve more than one look. Almost a 2-for-1 but best of all, allows for playing with your look and style. "Let's be a flirt today" and show some shoulder. I love feminine fashion. 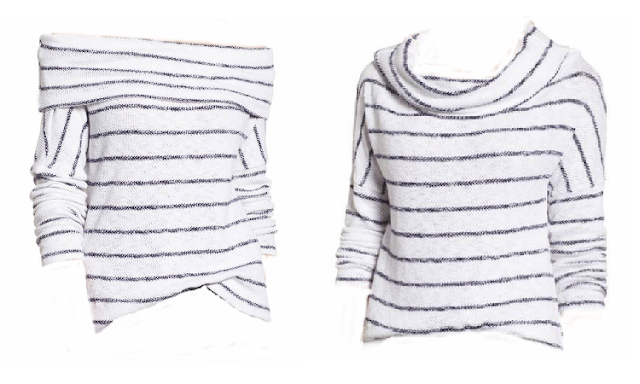 Here the link to this item on Nordstrom - Convertible Neck Knit Pullover. $49.00 in both regular and petite and multiple colors. Enjoy and most important - ESCAPE.